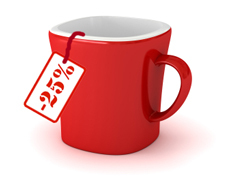 In an experiment that provided participants with an opportunity to buy a discounted coffee mug, those who were told they had been randomly selected to get the discount were 3 times more likely to want to buy than people who believed everyone got the discount. Researchers Jerry M. Burger and David F. Caldwell of Santa Clara University say such “special” opportunities may be appealing because people’s self-esteem is tied to factors that distinguish them from the crowd. How can this be applied to ecommerce? A/B tested offers are by nature randomized. Run an A/B/C split test with the group A receiving an offer, group B receiving the same offer, with wording tweaked to imply the offer is random and not offered to everyone. Use group C as a “holdout” that receives no offer. 1. Send a discount code when customers perform certain actions. For example, after a review is submitted, send an email, and use the customer’s first name if possible. Make it clear that the offer is special to customers that do that action. 3. 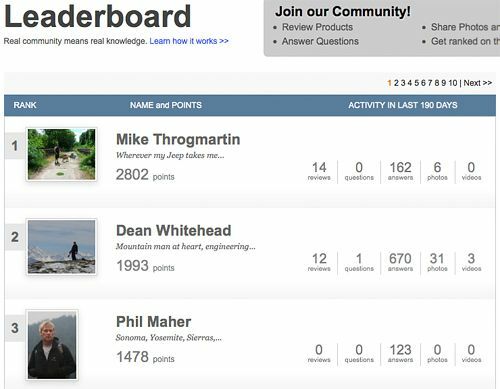 Recognize top-contributing community members (like Backcountry’s leaderboard) with rewards for choice contribution or highest accumulation of points within a given time period. 4. Surprise and delight disgruntled customers with offers or freebies in addition to correcting their customer service issues. Use phrases like “just for you,” or encourage your CSRs to give offers in email or chat messages. 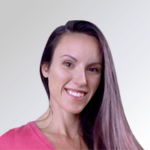 You may not want to offer these perks every time in order to avoid conditioning customers to complain. Regardless of what ideas you try, make sure you measure response rates (click through), conversions and revenue. Previous articleWill the DECE Kill the Netflix Star?